Well, here it is: our very first round-up post, and to start we’re going to be taking a look at some of the best selling WordPress themes (of all time, no less) on that gargantuan, lumbering behemoth, that force of nature, called Themeforest. You can’t escape it, but why would it want to? It’s brought the best WordPress designers in the world together into one place to hawk their quality wares at unbeatable low prices and to pound even the toughest competition into confused, bitter dust. Woohoo! In preparation for launching this site, I took a look around to note what other, similar sites are doing. There’s plenty of collections and round-ups and exhaustive lists, but very few with any character, and you sometimes get the sense that they’re a bit of a haphazard copy and paste job and that themes have been selected at random. I’m going to try to avoid that with this post and future posts. Of course when we’re taking best-selling, there’s less subjectivity involved anyway, and my two cents are neither here nor there. They’ve either racked up the numbers or they haven’t. And some of these have certainly done that. Note that for the purpose of the list, and to maintain some cohesion, I’ve limited it to business, ecommerce, magazine, blogging and portfolio themes, which seem to the most popular categories overall. 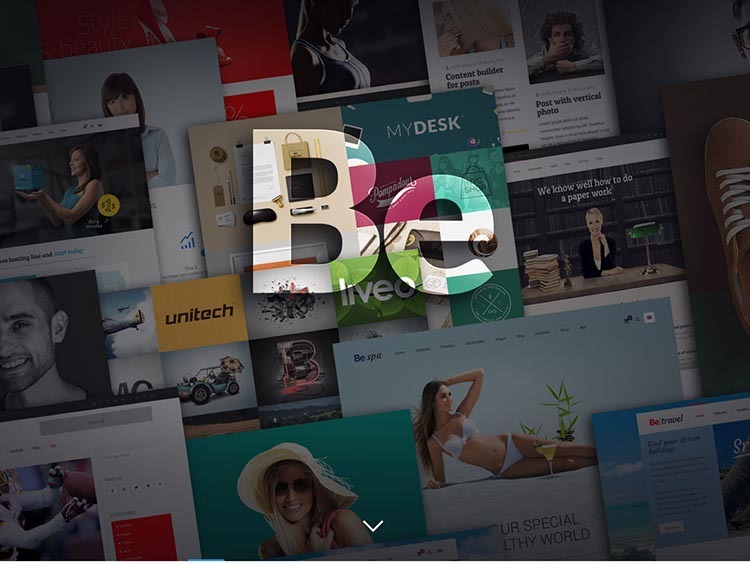 Unlike some of the themes found on the private developer sites, which tend to remain static, the themes on Themeforest see regular updates to the newest and most sought after features in order to remain wanted and desired. Finally, if you’re still looking for a reliable, inexpensive hosting provider, go with Bluehost. They’re the best at what they do. The developers of the BeTheme tout it as being “the biggest theme ever”, and it’s tough to disagree with that. This could, more accurately, be considered 75 themes for the price of one: 75 pre-made demos that can be installed in one click over all sorts of niches, from restaurants to to charities to car rental. The $58 price tag is frankly sort of insane. An endless amount of layout options, and 200 shortcodes make BeTheme more versatile still. Visual Composer is bundled for free, and the theme is fully responsive and retina-ready. Probably one of the best deals in the premium WordPress market. The X Theme was undoubtedly the inspiration for the slightly more recent BeTheme, in that it’s a giant theme in it’s own right and provides so much bang-for-your-buck that it’s surprising it doesn’t steal even more business away from other developers. 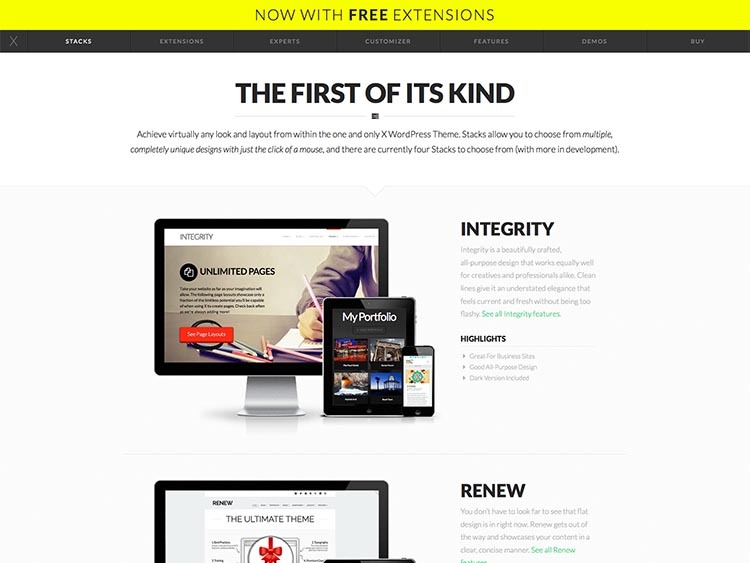 It’s also the only theme that includes over twelve other premium products and WordPress plugins for free. It’s incredibly flexible, and it’s worth checking out the details page and looking through the demo if you’ve got a few moments. It’d be impossible to cover everything it offers here. Jupiter is another best-selling WordPress theme in the vein of X Theme and BeTheme, in the sense that it’s essentially providing multiple themes for the price of one. It’s not quite as big just yet, but they developers are adding new templates all of the time. Of course it pulls out all of the stops; it’s retina-ready, it’s responsive and supports drag & drop page building that allows you to build an infinite number of layouts. Truly great stuff, and there’s little wonder why it’s sold over 13,000 copies. Another feature-packed theme, Enfold hasn’t been around that long, but has sold a whopping 46,753 copies. The theme is responsive, retina-ready, provides multiple header layouts and designs, it’s SEO optimzed and so much. 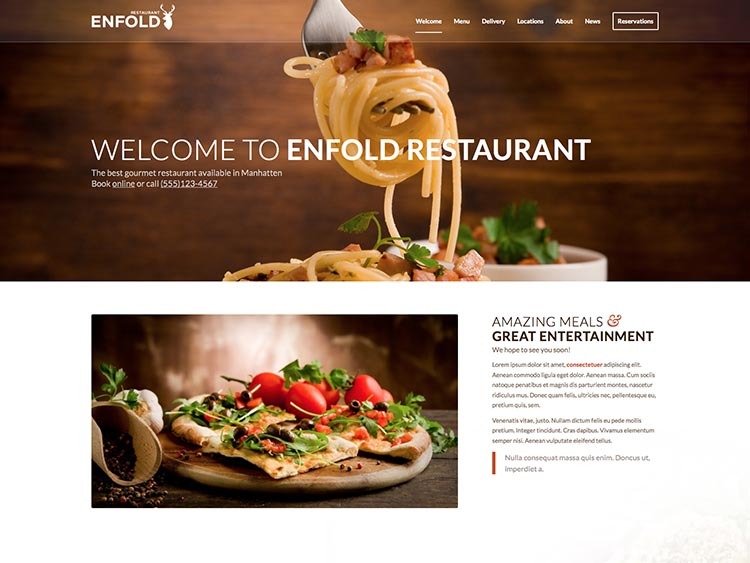 The remarkable five star rating not only means that the theme is a pleasure to use, but that the team behind Enfold goes above and beyond when it comes to support and updates. 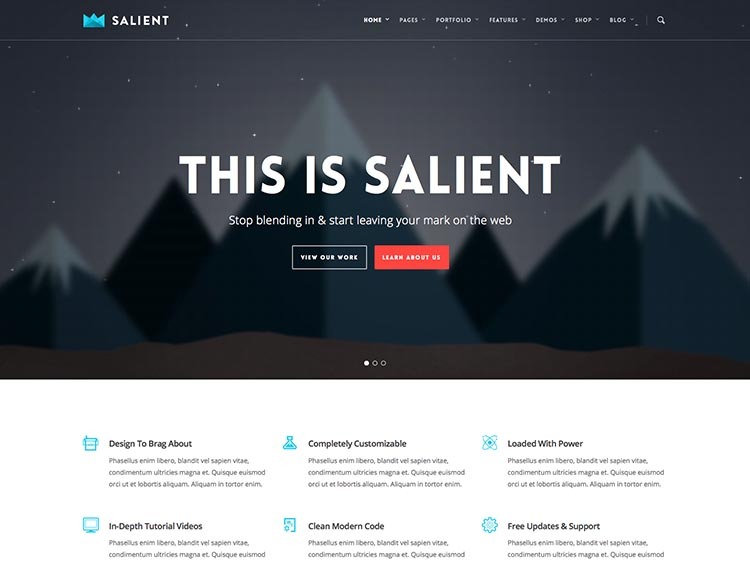 The gorgeous Salient theme is probably our favorite theme on this list in terms of aesthetics. This retina-ready, mobile-optimized theme comes with a drag & drop page builder, WooCommerce supports, and a fantastic selection of settings on the backend options panel. Salient, like Enfold, is another theme will an amazing five star rating despite having sold over 25,000 copies. WordPress developers love this one. 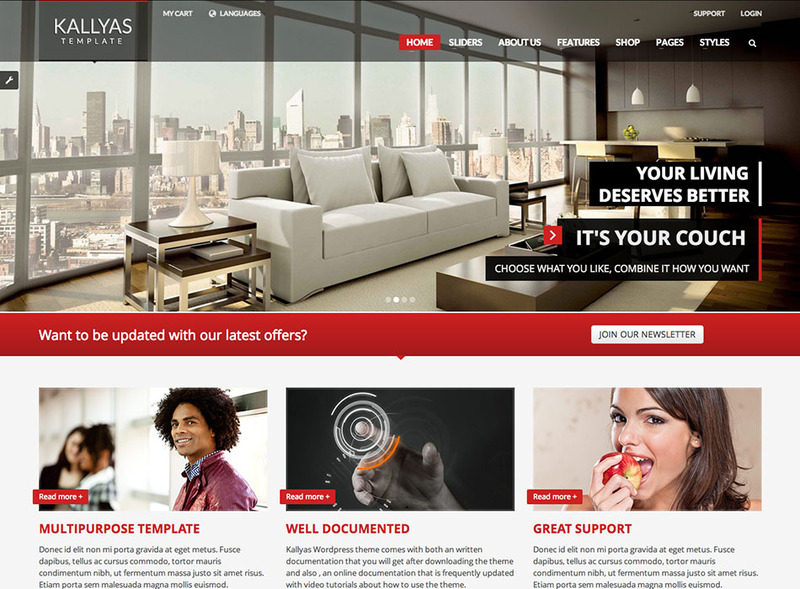 Next, the Avada responsive WordPress theme. 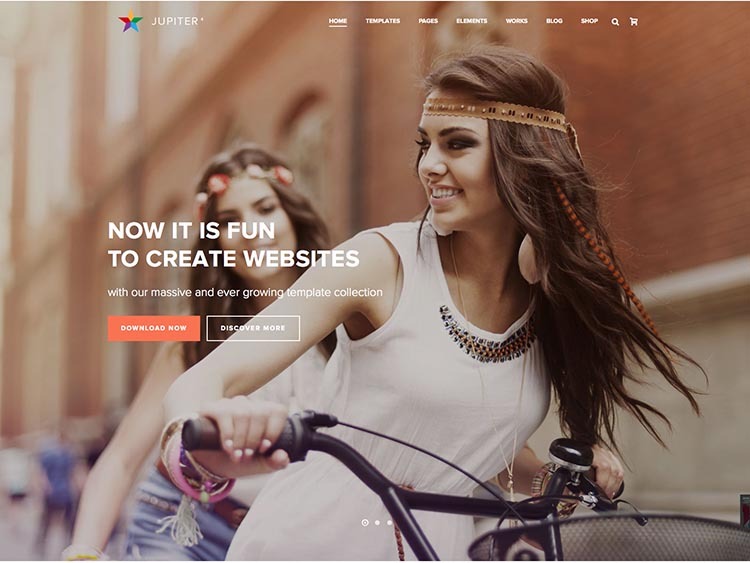 This is possibly the best selling WordPress theme of all time, at least on Themeforest, with a staggering 104,000+ purchases, the number growing every day. It’s a beautiful theme with features that go on and on, and it’s not hard to see why. 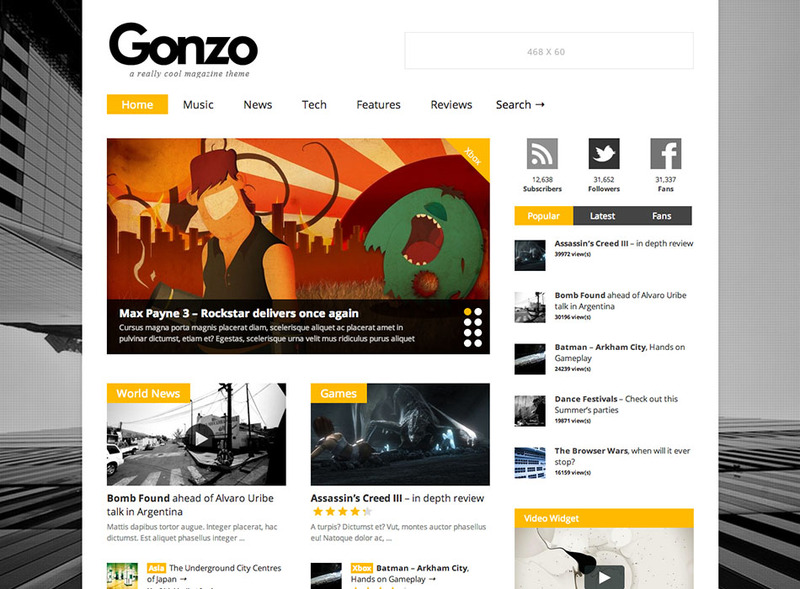 One of my favorite magazine themes for WordPress, hands down. I even use this on another one of my websites. It’s hard to put my finger on exactly why I like it so much – it’s just so no nonsense and slick looking. I’m a sucker for solid, bright colors. This is another theme I’m personally quite fond of, though I don’t currently have a use for it with my projects I’m keeping it mind. Again the bold, clean lines win me over. 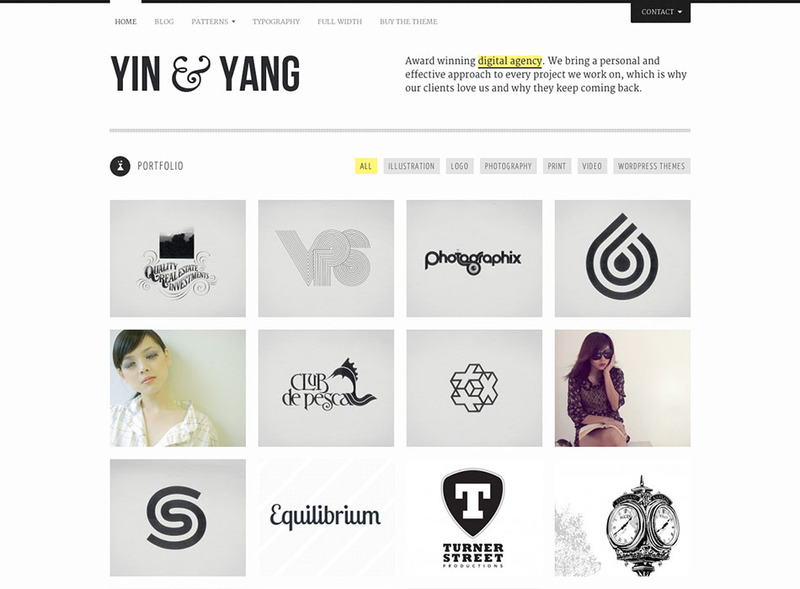 And obviously I’m not alone, because it’s one of the best selling WordPress portfolio themes on the site. 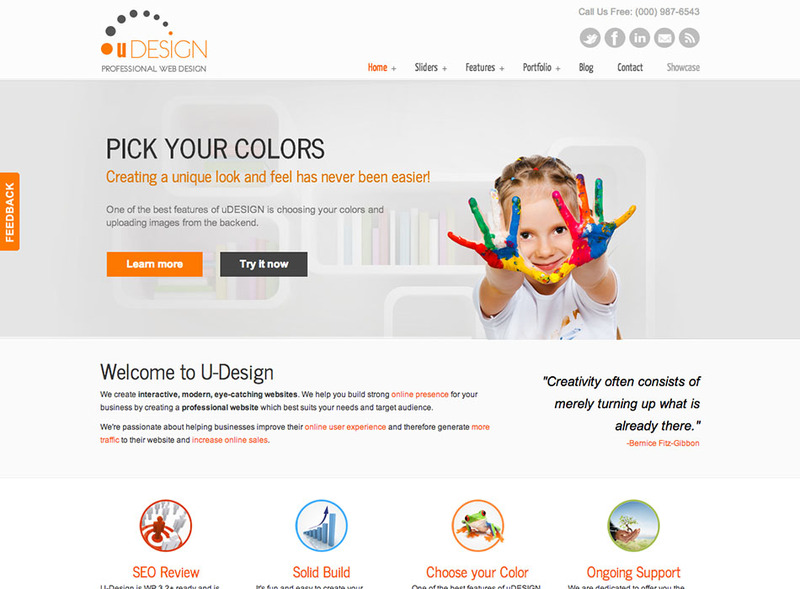 U-Design is a theme similar to Avada, both in the category it’s targeting (Business/Corporate) and in its sales numbers. The author has made almost 1 million dollars from this theme alone. 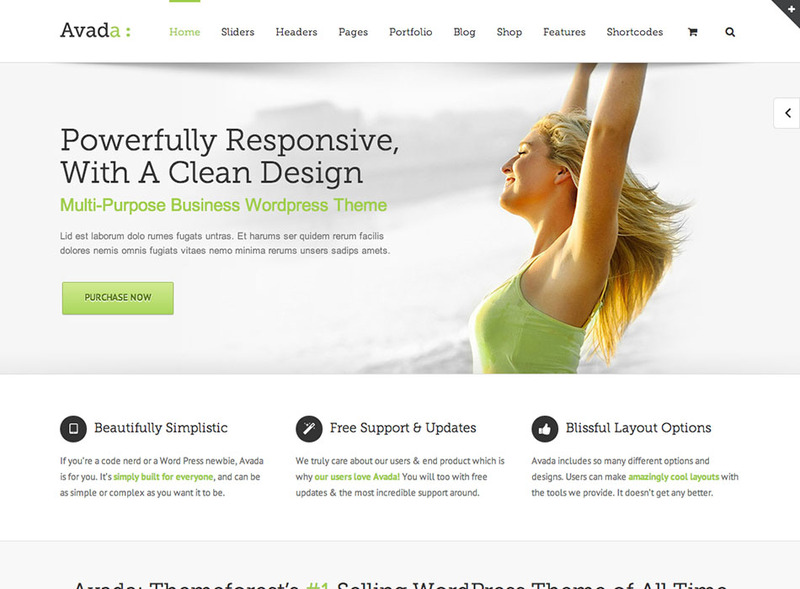 A best selling WordPress theme, indeed. This is another theme that sees constant updates, no doubt a factor contributing to its continuing success. 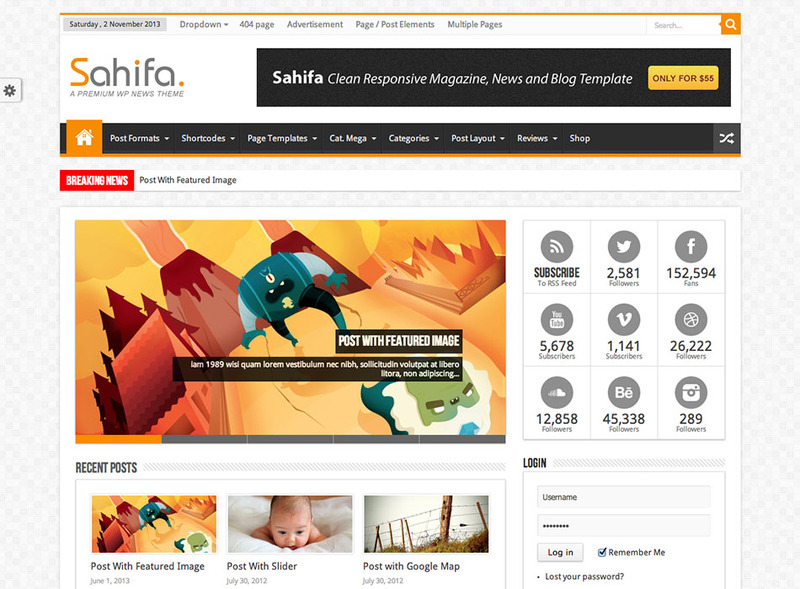 Sahifa is a news theme that once again shares some of its aesthetics with Gonzo and Goodnews. If you’re looking to start producing magazine themes for Themeforest yourself, you’d do well to take a close look at all three of these. Minimalist and light-weight. That overstuffed, gradient-happy Rockettheme look of yesteryear clearly isn’t doing it for people anymore. A rather elegant looking shopping cart. This is probably a great ecommerce theme for retailing high-end products. Designer labels and a bunch of stuff I’ll never be able to afford would fit right in on this theme. 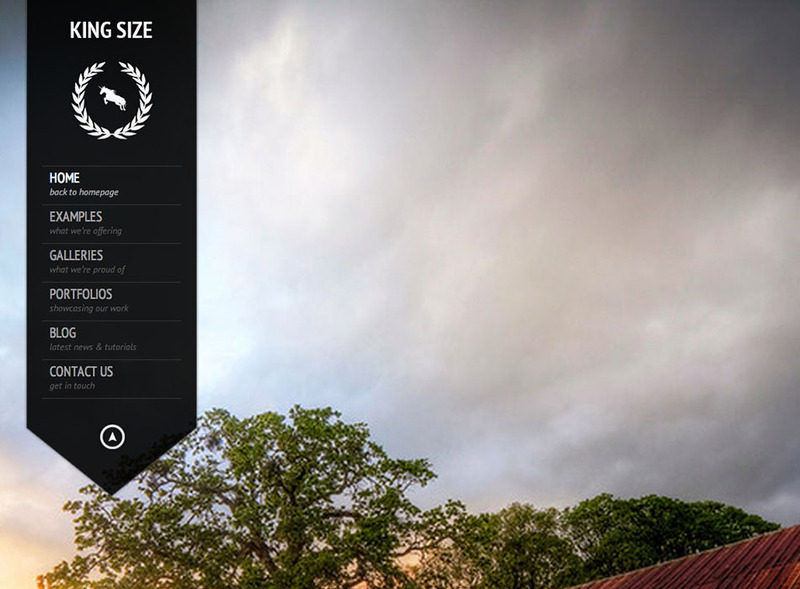 Finally, King-Size, a fullscreen with almost 15,000 sold. These have become pretty popular lately, and I suspect this one dating back to 2011 must be one of first that helped open the floodgates. A lot of these themes have the potential to fail or succeed based just on the stockphotos used on the demo. They undoubtedly choose well here. So concludes our first ever theme round-up of the best selling WordPress themes on ThemeForest. See you next time!